Dairy Queen is celebrating Customer Appreciation Week starting 4/19 – 4/25. 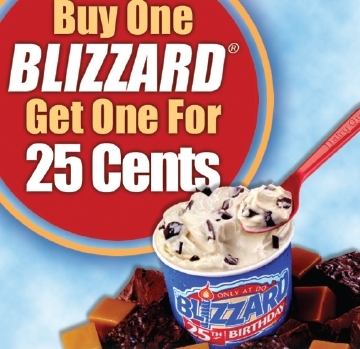 To celebrate they are offering a Buy One Blizzard Get One for $0.25 coupon. This coupon is valid at participating location so call ahead to see if your local Dairy Queens is participating.